The SkiBig3 Season Pass is valid all season at Banff Sunshine, Lake Louise Ski Resort and Mt. Norquay. With almost 8,000 acres of terrain on one pass and one of the longest seasons in North America, there’s plenty of time to make the most of your Canadian Rockies mountain playground! Skiing and riding at Banff Sunshine, The Lake Louise Ski Resort and Mt Norquay. Access to four (4) additional Buddy Tickets at $89 so your friends can join you for a discounted day of skiing or riding at one of our three mountain resorts. 50% off lift tickets at all Mountain Collective Destinations including Revelstoke. Additional pass perks include many discounts with local partners and on-mountain. Make SkiBig3 your winter-home base! Whatever kind of terrain suits your style, you’ll find it here in the heart of Banff National Park. Our three ski areas; Banff Sunshine, The Lake Louise Ski Resort and Mt. Norquay offer almost 8,000 acres of skiable terrain, 2 gondolas, 26 chairlifts, and 30 feet of feather-light Canadian Rockies powder annually. With your SkiBig3 Season Pass, you’ll be free to roam light, dry powder, incredible terrain, fun parks and endless runs, discovering those hidden stashes unknown to others. From early November to mid-May, you’ll be able to ski and ride an almost endless season, one of the longest in North America. Enjoy many benefits with your SkiBig3 Season Pass, including many additional pass perks and partners. 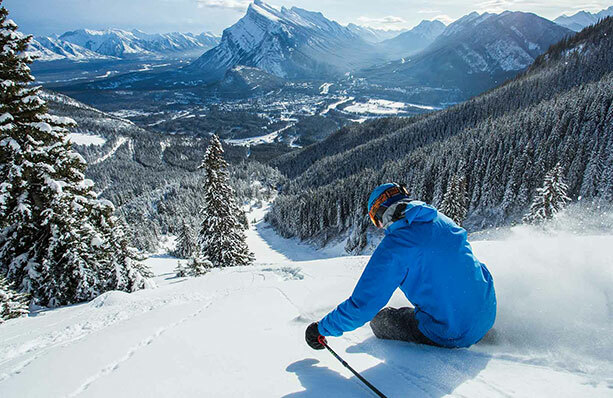 Unlimited skiing and riding at Banff Sunshine, The Lake Louise Ski Resort and Mt Norquay. Access to purchase four (4) additional Buddy Tickets* at $89, valid for use at Banff Sunshine, Lake Louise Ski Resort or Mt Norquay during the 2018/19 season. * Redeemable at the SkiBig3 Adventure Hub. Complimentary ski shuttle from scheduled Banff & Lake Louise hotels to Banff Sunshine, Lake Louise Ski Resort and Mt. Norquay (including night skiing). 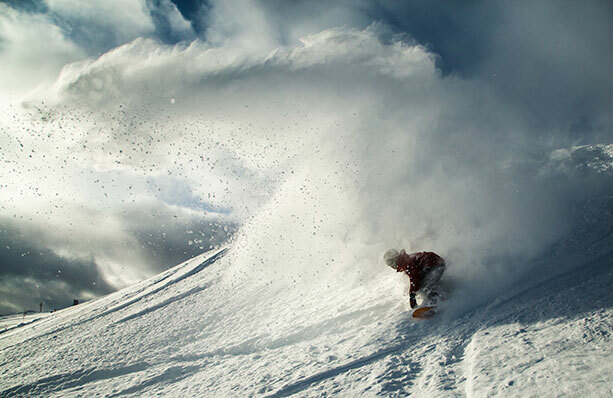 The Mountain Collective – 50% off lift ticket prices at all Mountain Collective Destination resorts. In order to redeem, bring your SkiBig3 Pass to the ticket window at any of the resorts listed below and let them know that you are a Mountain Collective Destination Premier Passholder. Resort Benefits for SkiBig3 Passholders. * Subject to change for 18/19 season. Bus: Complimentary scheduled ski shuttle service from Banff hotels to the Mt Norquay, including night skiing. Bus: Complimentary scheduled ski shuttle service from Banff & Lake Louise hotels to the Lake Louise Ski Resort. Bus: Complimentary scheduled ski shuttle service from Banff and Lake Louise hotels and Banff Sunshine. Buddy Tickets are available on Adult, Midweek, Senior, Student, Youth & Family Passes only. Tickets are issued as a dated, one-day Adult SkiBig3 Lift Ticket and are not eligible for re-sale. Buddy Tickets are available to purchase at $89 per ticket, to a maximum of four per pass. Buddy Tickets are available for purchase at the SkiBig3 Adventure Hub. Buddy Tickets are not available with the purchase of a Child or Tiger Season Pass.